Premier Paving of Northern Illinois, Inc. Comment: I am looking at resealing my driveway. pretty standard 2 car driveway in Gurnee, Illinois. I have a sidewalk that cuts through it as well. I need a couple of cracks filled in and resealed. Comment: I would like to get an estimate for laying down asphalt for my driveway and adding pavers to the sides it. Gurnee Paving Contractors are rated 4.76 out of 5 based on 377 reviews of 16 pros. 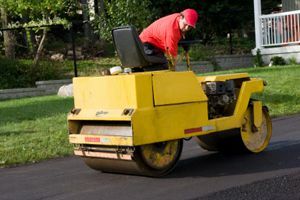 Not Looking for Paving Contractors in Gurnee, IL?